EIGHT LINE ICON SETS (by Jonas Nullens) These are 8 different sets of 35 icons which I created for fun and practice. I might do more in the future but I thought I’d release these ones already. 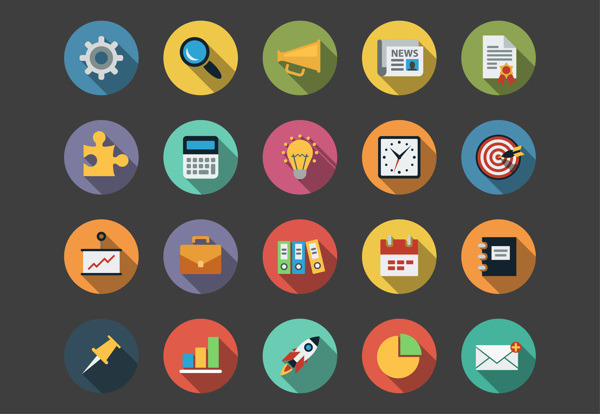 Posted on 07/04/2014 07/04/2014 Categories AllTags design, design blog, design news, double, graphic design, icon, icon design, icon set, icons, illustration, line, marine, set, ship, space, symbol, tools, ui, ui design, ui/ux, ux, weatherLeave a comment on EIGHT LINE ICON SETS (by Jonas Nullens) These are 8 different sets of 35 icons which I created for fun and practice. I might do more in the future but I thought I’d release these ones already. Free Transparent UI Elements (by Maxine Celeste Heyns) For the longest time, I have been wanting to create a small group of Freebie User Interface Elements for you to Download. I hope that you all enjoy using these Elements as much as I enjoyed creating them. 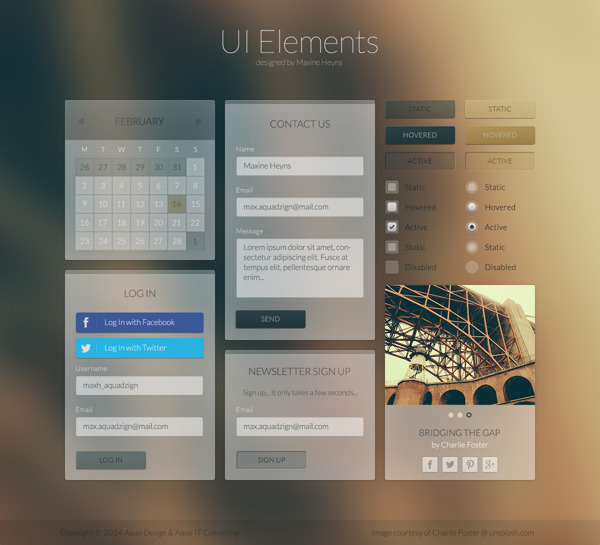 I would like to Thank Charlie Foster for the Image that I have used in this User Interface Elements kit. The Image can be found at unsplash.com. You can Download the Free Transparent UI Elements using the link below the Project Image. Happy Photoshopping! For the longest time, I have been wanting to create a small group of Freebie User Interface Elements for you to Download. I hope that you all enjoy using these Elements as much as I enjoyed creating them. I would like to Thank Charlie Foster for the Image that I have used in this User Interface Elements kit. The Image can be found at unsplash.com. Posted on 28/03/2014 Categories AllTags design, double, download, free, free psd, free ui kit, freebies, graphic design, photoshop, ui, ui kit, ui/ux, user interface, ux, web designLeave a comment on Free Transparent UI Elements (by Maxine Celeste Heyns) For the longest time, I have been wanting to create a small group of Freebie User Interface Elements for you to Download. I hope that you all enjoy using these Elements as much as I enjoyed creating them. I would like to Thank Charlie Foster for the Image that I have used in this User Interface Elements kit. The Image can be found at unsplash.com. You can Download the Free Transparent UI Elements using the link below the Project Image. Happy Photoshopping! 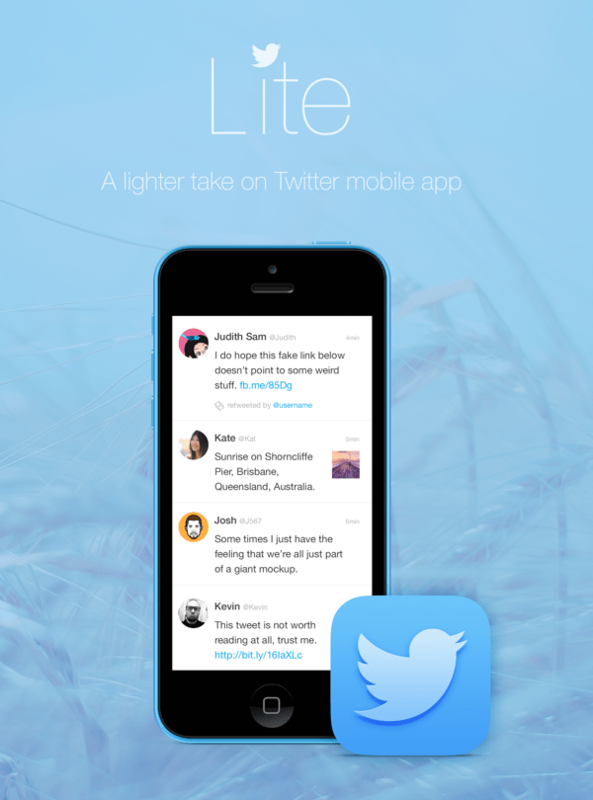 Twitter Lite (by Sebastien Gabriel) My take on a simpler, lighter Twitter app. Posted on 26/03/2014 26/03/2014 Categories AllTags app, application, blue, concept, design, design blog, design news, double, interaction design, interface, ios, light, mobile, photo, product, profile, redesign, Twitter, ui, ui/ux, uxLeave a comment on Twitter Lite (by Sebastien Gabriel) My take on a simpler, lighter Twitter app.